Kenya’s main gateway to the world is Jomo Kenyatta International Airport outside of the country’s capital, Nairobi. Kenya is considered one of the cheaper countries to travel in, usually clocking in around $30 per day. Though slightly more tourists come to Kenya during the dry season from October to March, Kenya doesn’t really experience a peak tourism season in the same way other countries do. This may be a function of Kenya’s climate, which stays between 10˚C to 26˚C (50ºF to 80ºF) year round. Handmade crafts, drums and statuettes are examples of classic Kenyan souvenirs. The equatorial country of Kenya has long been associated with ecotourism, though travelers also come for the country’s beaches and history. Kenya is located in East Africa and a considerable portion of the country’s south western border touches the Indian Ocean. Though tropical biomes engulf much of Kenya, the country’s expansive savannah biome has been a draw to ecotourists, biologists and other nature lovers for many years. Important geographic landmarks in Kenya include Mt. Kenya, the country’s tallest mountain and continent’s second highest, and Lake Victoria, the largest lake in Africa. Note that Kenya only holds a small portion of Lake Victoria, while its neighbours Tanzania and Uganda control much larger sections. Kenya is located in the African Great Lakes region, one of the first places ever colonized by humans. Several remains of humanity’s predecessors have been found in Kenya, and many scientists speculate that these early hominids may have been humanity’s evolutionary ancestors. Most of Kenya’s early residents relied heavily on the hunter-gatherer lifestyle, though this would be largely replaced by livestock. Though a handful of different groups existed during Kenya’s early period, none were more prolific than the Bantu, who arrived in Kenya during near 100 CE. The Bantu colonized much of Africa during this time, and brought with them advancements in agriculture and metallurgy. 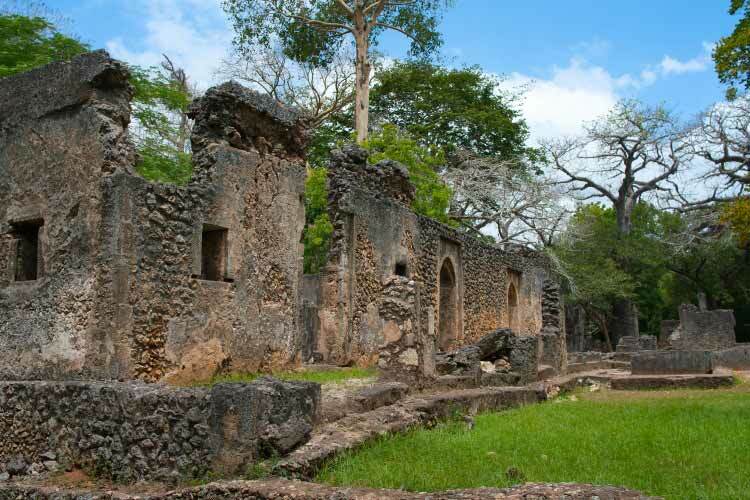 Numerous Bantu ruins still exist in Kenya and are fascinating destinations for the historically minded traveler. Many of the Bantu lived near the Kenyan coastline, and by 1000 AD were regularly making contact with Arabic traders. This lent the Kenyan Bantu with a distinct Islamic influence. This mixed culture would come to be known as Swahili and is still a major influence on Kenya today. By the 10th century, the Tanzanian Kilwa Sultanate controlled Kenya and the entire Swahili Coast. They engaged heavily in trade, largely through the port city of Mombasa. Soon, the Swahili were in regular contact with Arabic, Persian and even Indian traders, and their language changed to reflect this. With the arrival of the Europeans in the 15th century, the Portuguese also had influence over the country. In the 1600s, Kenya fell under the rule of Omani Arabic forces, who along with the Portuguese subjugated countless Kenyans into slavery. In 1888, an English company called the Imperial British East Africa country officially controlled Kenya. The English built an important railroad system and maintained firm control over the country, but by the 1950s, groups of rebels called the Mau Mau vied for independence. Though the British ultimately stifled their rebellion, it created a rift between the European and local peoples. In 1957, Kenya’s founding father, Jomo Kenyatta, was elected, and six years later the country was given full independence. In 1964, the country became a democratic republic, with Kenyatta voted as its first president. After Kenyatta passed away, Daniel arap Moi was elected. Moi controlled Kenya unopposed from 1978 through 2002, though during this time the government was basically a single party system. Widespread constitutional reform barred Moi from running again in 2002. In 2010, Kenya again rewrote its constitution, and a great deal of power was shifted to its 47 semi-autonomous counties. Compared to other African countries, Kenya has enjoyed a great degree of political and economic stability, which is undoubtedly why it’s one of the more popular African travel destinations; Kenya sits inside the top 10 most visited countries on the continent, due in large to some of the best game parks in Africa being found there. With more than 3 million residents, Nairobi is both the largest city in Kenya and one of the largest in all of Africa. 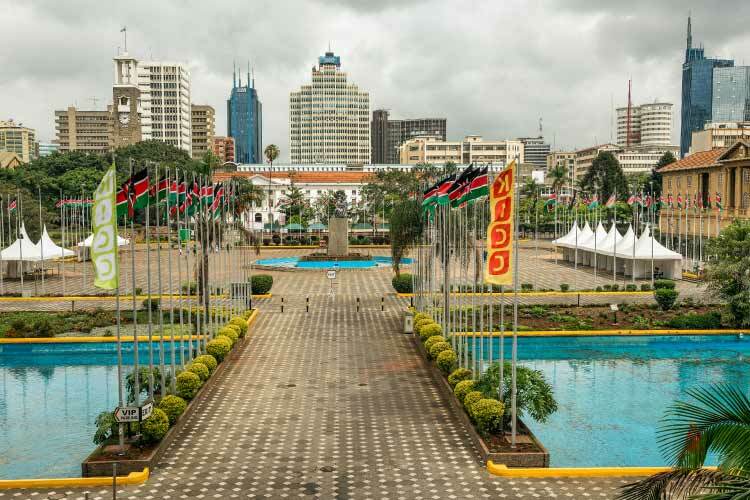 As the country’s capital, there’s lots of history to discover in Nairobi, and the Nairobi National Museum is a great place to begin learning about Kenya’s heritage. Directly next door to the museum is a facility offering guests interactions with live snakes. This theme of people living next to nature is constant throughout Nairobi. In fact, the city is surrounded by Nairobi National Park, a large savannah area with zebra, wildebeest and other fascinating wildlife. Nairobi is also the centre of Kenya’s cultural life. The Go-Down Arts Centre is a great place to find modern Kenyan artists creating masterpieces and offering classes and tips to aspiring artists. Though not as large as Nairobi, Mombasa draws most of Kenya’s tourists. As expected from a tropic port city, there’s plenty of gorgeous beaches to be found in Mombasa. The beaches are usually divided into two segments, Southern and Northern Coast. The Northern Coast beaches have more restaurants and nightlife destinations, while the Southern Coast beaches offer a more natural, private experience. Mtwapa Creek is a famous Northern Coast site with numerous clubs and great birding. Mombasa’s old city is also worth exploring, as well as its market. Speaking of markets, the Bombolulu Workshop in Mombasa is a marketplace well worth exploring. This unique facility only hires disabled artisans and is a huge tourist draw. If you’re looking for untouched savannah wilderness, Kenya’s Maasai Mara National Reserve is your best bet. This spacious game reserve is home to world famous populations of lions and cheetahs. 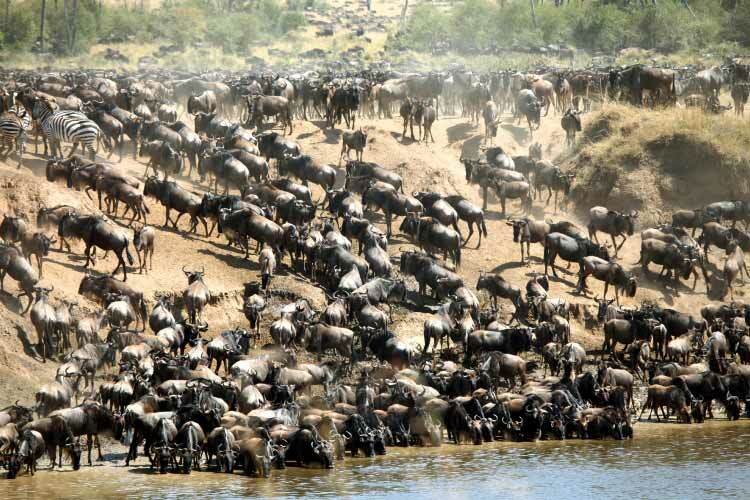 Furthermore, the park is a part of the Great Migration. This path sees thousands upon thousands of wildebeest, zebra and gazelles traveling to and from the Serengeti. 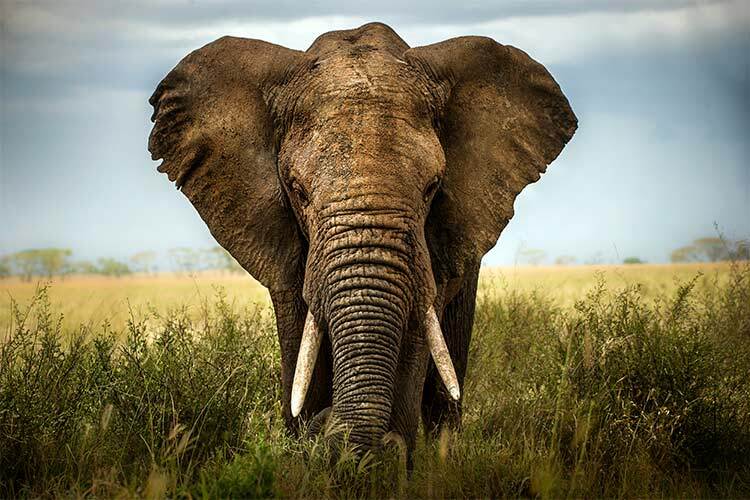 Elephants, hyena and giraffes are also common sights in Maasai Mara, along with a massive number of interesting plant species. 1. 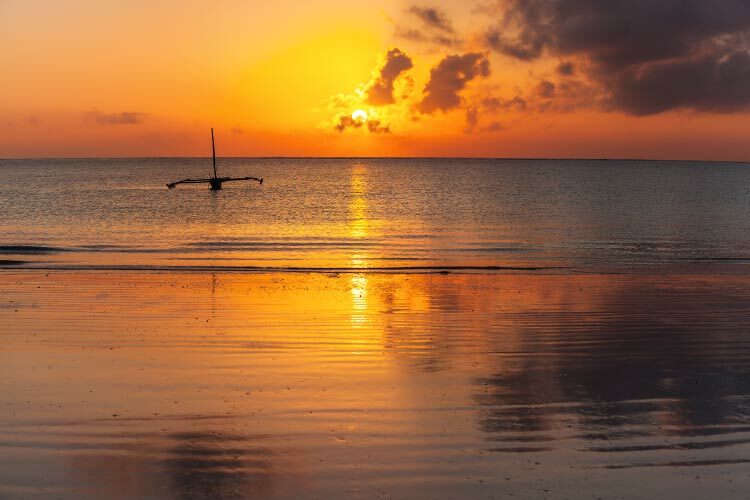 As Kenya’s biggest tourist destination, Mombasa has lots to offer travelers. Many travelers will wish to explore the old city near Fort Jesus. Furthermore, tourists should see the Bombolulu Workshop, a unique craft market for disabled artisans. Be sure to spend some time at Mtwapa Creek near Mombasa. In addition to its fantastic birdwatching and gorgeous natural vistas, this area also contains many of Mombasa’s hottest nightclubs. 2. One of the best archaeological sites in Kenya is the Ruins of Gedi, which are found in the tiny town of Gedi near Malindi. These Swahili ruins date back at least 800 years and feature a surprisingly advanced infrastructure, including advanced sewage systems. The city traded heavily around the world, and artifacts from as far as China have been found on the site. There’s also a museum detailing Gedi’s fascinating history. 3. Tsavo National Park is split into an east and west section, which together make up nearly 4% of all of Kenya. The park is most famous for its elephant population, as well as for the beautiful Aruba Dam. The park also has the longest lava flow in the world – nearly 300 meters! 4. While in Nairobi, be sure to visit the fascinating Nairobi Natural Museum, as well as the adjacent live snake facility. Also explore the Go-Down Arts Centre, where many top Kenyan artists gather daily to hone their skills. Nairobi is largely surrounded by a huge national park, which is a great way to see some of the more iconic Kenyan fauna. 5. Maasai Mara National Park is a large savannah park filled to the brim with fascinating wildlife. Expect to see big cats like cheetahs, leopards and lions. In addition, the park is a section of the route of the Great Migration. If timed correctly, visitors can see hundreds of thousands of migratory animals heading to or from the Serengeti each year. 6. Though many travelers pass by Nakuru, this interesting city plays an important role in Kenya’s economic activity. Furthermore, it is surrounded by a number of riveting day trips. Travelers will be interested to see the Menengai Crater, an active volcano with continuously spews smoke. In addition, the nearby Lake Nakuru National Park (pictured below) is worth a visit. 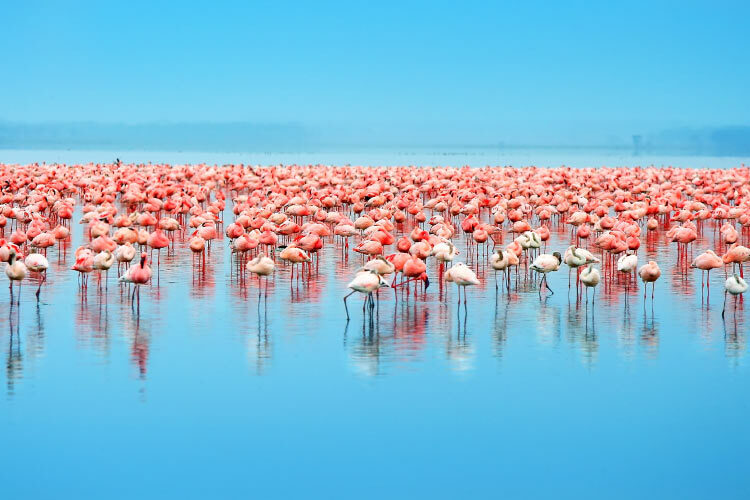 It’s best known for birding, and especially its flamboyant flamingos. 7. Most travelers come to Kisumu to see Lake Victoria, Africa’s largest lake. Fittingly, fishing is a very popular activity here, as is watching locals fish using ancient techniques and equipment. The city is also known for its craft market, which tends to be less expensive than other Kenyan markets.